Who likes to be stuffed in body clasping clothes and head for a party (especially if party is meant to enjoy), I know I don’t as in such condition either I can enjoy or be conscious/uncomfortable or sweat profusely through my pores…You all heard me say body clasping...Right? Of course I be the later but we all are guilty of doing it so often as we fail to understand that comfortable clothes can be stylish too if put together with best combos. 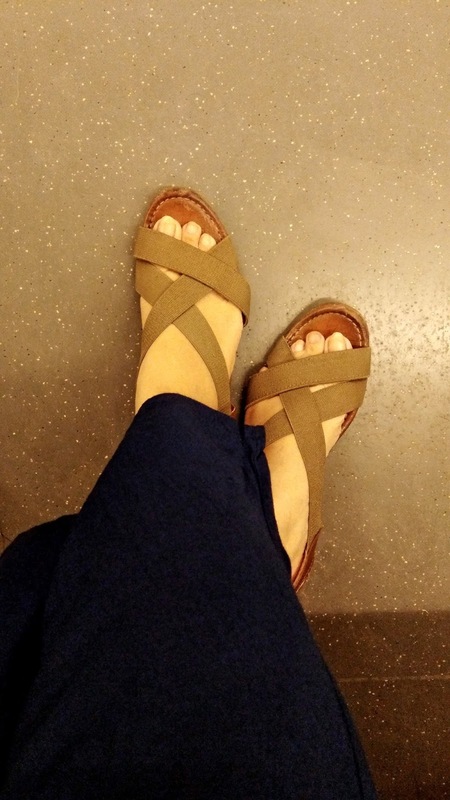 There is nothing more comfortable than breathable cotton fabric wrapped around your pretty legs and when its loose and comfy like Palazzo, it’s a bliss. They are one of the most comfortable clothes in the dictionary and make such awesome statement. Highly versatile to pair with and such ease of accessibility gives you more than just an awesome experience. Get yourself a pair if you already don’t have one, you are missing the best of clothing. I talked about versatility because these are those pair of pants which you can team up with anything and I mean anything- T-Shirts, Kurtas, Anarkali, Tops, Tank Tops, Bandeau, peplum, Shirts and my list is yet not finished…Talk about versatility. Some comfortable footwear to go along will just make your day whole lot awesome. Find the best of oversized outfits in yours or your boy’s closet, they make the most comfortable clothes and did you know they make some stylish creations. 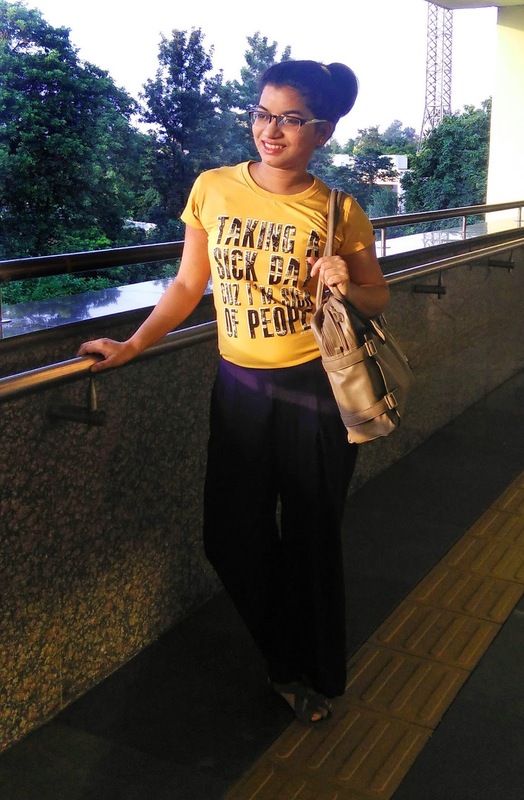 When an oversized shirt is tucked Oh! So slightly in the belt, it doesn’t take away your comfort but stays well in the style quotient. 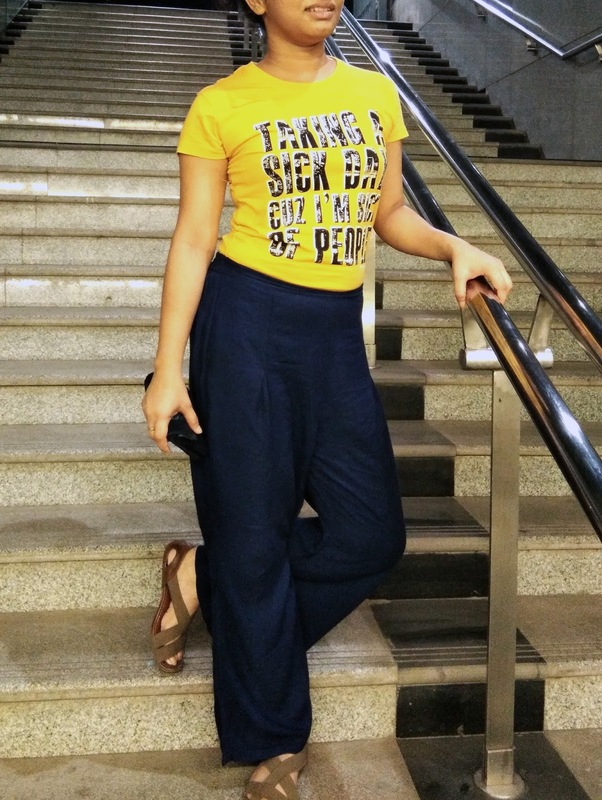 Choose baggy or flared pants and pair it with some uber comfy t-shirt or top and you are good to go. Think about an oversized kurtas and you will feel the breeze instantly, keep in mind that you choose your option carefully as oversized can make you look flumsy in no time…avoid that. These days tracks and joggers make such an awesome comfortable quotient that it’s hard to not fall for them. Include some good pair of tracks and joggers in your wardrobe so you don’t miss out on the comfortable clothes. Pair these pants with regular fitted t-shirts or tank tops and go around the block with all glitz and glamour. Jumpers and Rompers are epitome of comfortable clothes so ladies do get yourself one of these. Some solid coloured rompers with classic flat shoes will never take away from your comfort but will give you such style. Printed jumpers with little accessorising gives such modish look and man-o-man are they comfortable thus staying true to the talk of it, for the feet all you need are some Chappals and that’s it. They are no-muss, no-fuss attire. Some cotton or organza kurti is such an statement maker, pair these kurtis with denim or pants and done…for accessories all you need is a watch and if you are going for some bohemian vibes then pair the kurti with skirt of dhoti pant. I love good chicken-kari kurti straight from Lucknow, it’s a must have even if it’s just one. Yes do indulge in some comfort buy as they last for ages in every aspect. Yes! It’s a blend of ethnic and modern in the most comfortable way. 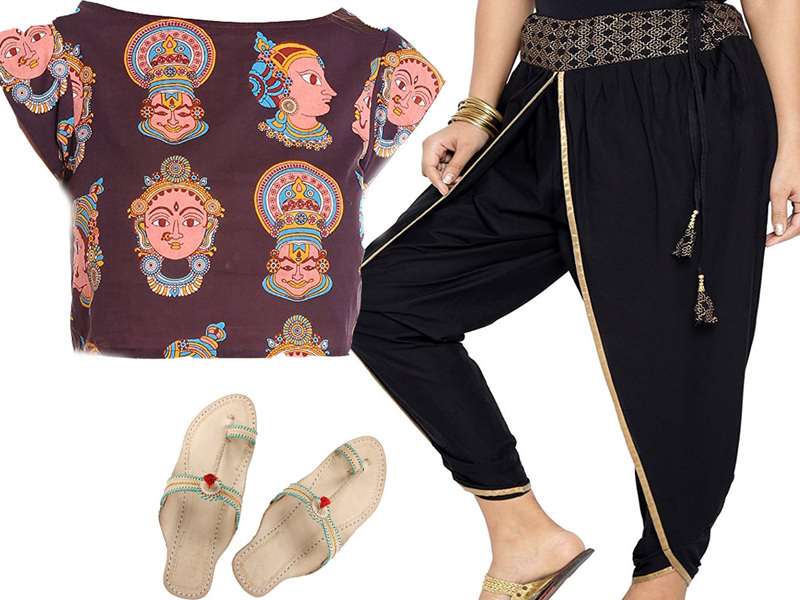 Pair loose kurta or t-shirts with some ethnic dhoti pant, they are most cool pair ever. 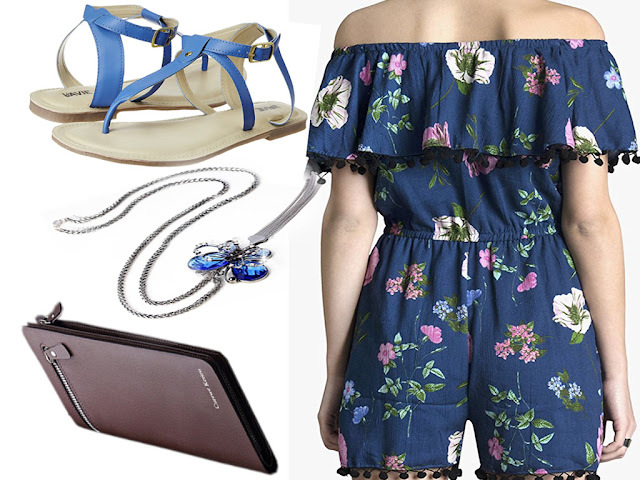 Many a time it so happens that we struggle to find the perfect combo and it so happens with this one that whatever you pair it with makes it so perfect wearable outfit. I am saying it for every outfit mentioned here that get yourself one of these but Girl if you are going for comfort then you gotta have all of these at one point or another. 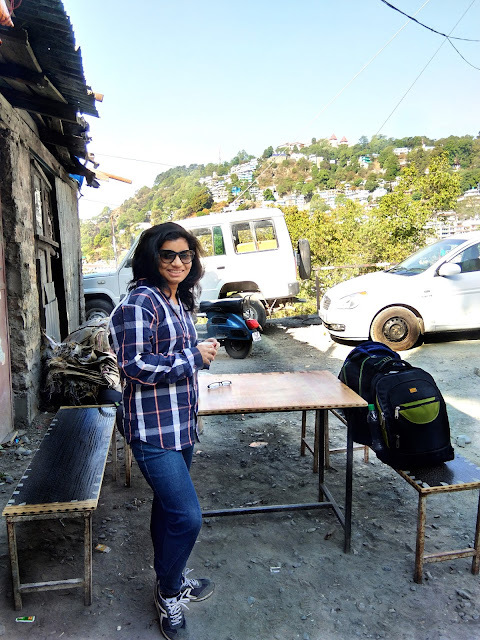 Trust me these are tried and tested by none other than me- one who runs for comfortable clothes as I am the queen of sweat and summers kill me…So yeah! Go for it. This is no game girl, I am talking all sense here and by mere looking at loose fit dungarees one can easily make out that how comfortable they are and the chicness quotient is way too high. Mixed with grunge and structure, these are perfect go to option for comfortable clothing. 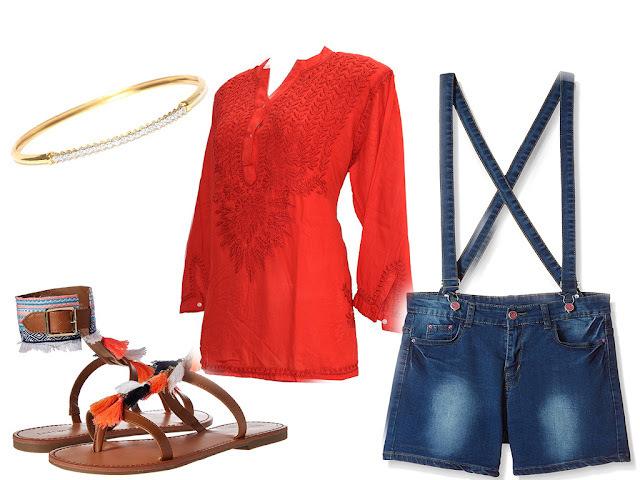 Pair your dungarees with crop or tank tops, they make you look extra-ordinary and there is no match for comfort. Be it any outfit…. if you don’t work on your choice of fabric, everything will go downhill. Outfits give you shape and structure but fabric is what gives you feel and anything rough or hugging will only make you feel not so comfortable. Guys find yourself something in COTTON, KNITTED, ORGANZA, SILK, VISCOS, RAYON or some LINEN…they are the best of fabric choices. These fabrics are breathable and comfortable on skin, while choosing outfit in person feel it on your palm or face for smoothness…if you are buying online check for the description of fabric I have mentioned some good fabrics to go for. You don’t have to be fabric analyser for choosing a right one, just keep your fingers active while picking out a piece. 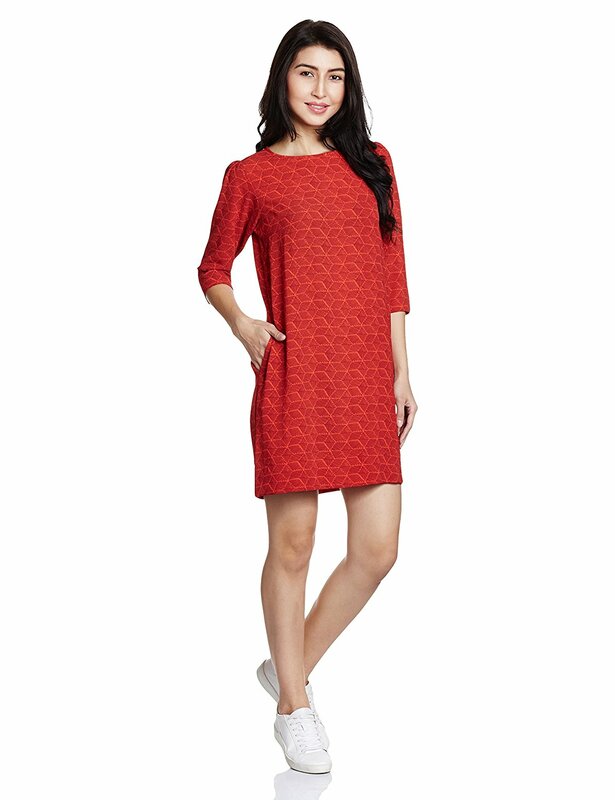 See a plain simple shift dress; you know it will be the most comfortable attire ever. These dresses are so comforting and such statement makers that you will have to wear it to believe it. I need not to say more about this outfit as they need no description, look it, feel it, pair it, style it, wear it and you will feel all the comfort in the world. Do I dare take this in note but yes for you ladies I speak and for you only is my this precious million dollar advise…give some thought and time while choosing your inner-wear. There is so much available in market now a days that it’s hard to concentrate on what’s best for your comfort, sometimes we do commit a mistake of choosing looks over what’s comfortable…clothes can still be managed if they tug but ladies we all know the trouble of itchy straps and tight grasps. Know your size, your body type, brands to choose from, take help from attendants in shopping malls and give time in changing room while trying on those inner beauties. I tell you, if you find yourself some comfortable bras and bottoms then your life will be bliss. Clothes from the past and history of Indian culture make the most comfortable ensemble, it’s just you gotta choose wisely. 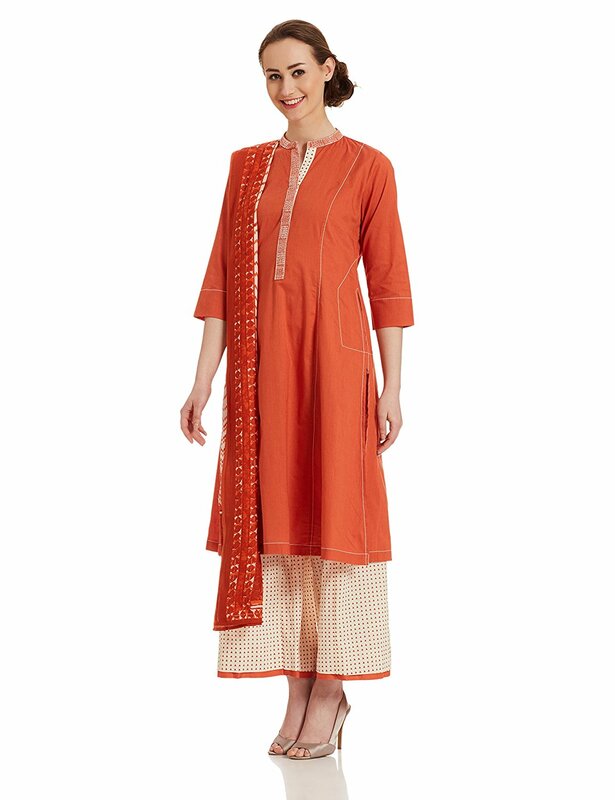 Straight or Anarkali fit kurtas with palazzo or dhoti pants reduce the effort you put in getting prepped and make the most awesome look. Have printed Kurta or some self-embroidered kurtis, you are all set to make statement girl…Just wear that and you are ready to make statement. I my opinion nothing can ever go wrong with ethnic and they are the most comfortable thing to wear given they are highly embellished or embroidered. I know this one is a shocker but girls don’t you agree with me if you get a hand of draping a saree they will make the most glamorous and put together ensemble. Plus the things you can do with its draping…opportunities are endless. Trust me on this just be comfortable to try it the first time as your go to option and you will never regret it. I am not the one who wears sarees daily but I can never deny that they are fall in comfortable clothes list hands-down. Shed your inhibition ones and you will be in awe of what all wonders a saree can do. Style your saree according to your choice and you will never let it go. So that's my comfort wear list...do tell in the COMMENTS what's your go to option when it comes to choosing comfortable clothes.